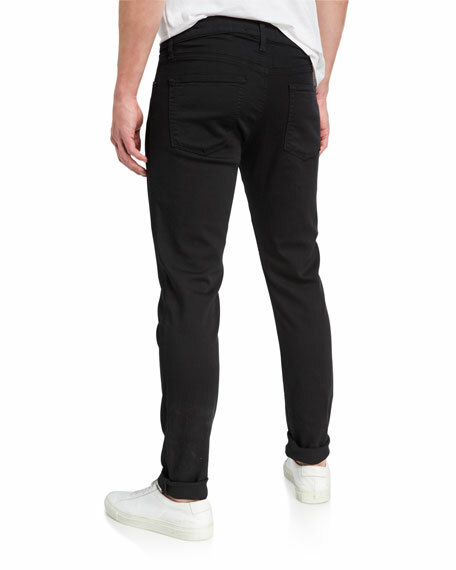 J Brand Jeans "Taper Tyler" fit jeans in Seriously Black wash denim. Approx. measurements: 10" rise; 30.8" inseam; 13.5" leg opening. 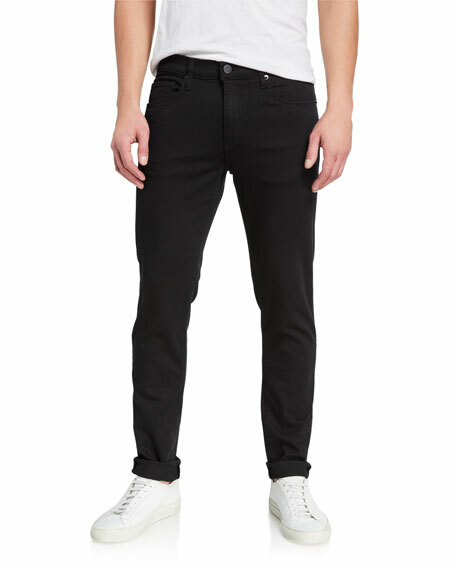 7 For All Mankind "Adrien" jeans in comfort-stretch denim with 3D whiskering. 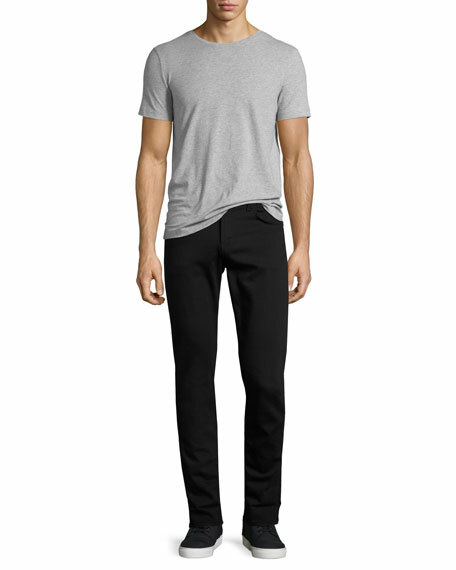 Five-pocket style; split-seam detail on back. Relaxed slim fit. Cotton/polyester/spandex. Made in Mexico. Model's measurements: Height 6'1"/185cm, waist 32"/81cm, typically wears size M.
DL 1961 "Russell" jeans in stretch-denim with super-soft hand and sateen finish. Five-pocket style. Mid rise. Fitted through skinny legs. 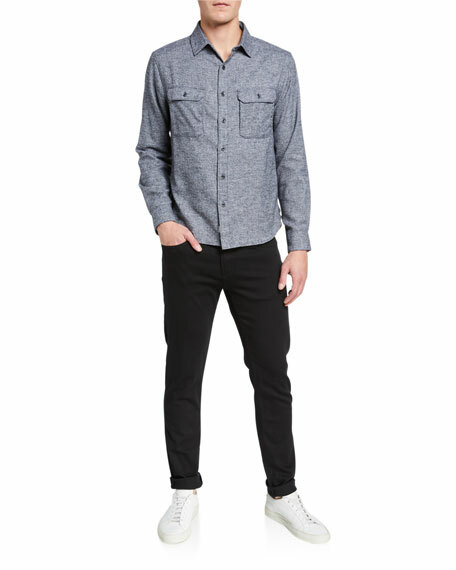 DL 1961 "Russell" jeans in stretch-denim with super-soft hand and sateen finish. Five-pocket style. Mid rise. Fitted through skinny legs. Button/zip fly; belt loops. Cotton/polyester/Lycra® spandex. Imported. Model's measurements: Height 6'1"/185cm, waist 32"/81cm, typically wears size M.
G-Star jeans in Steward tartan striped stretch denim. Five-pocket style. Seam and panel detailing at thighs and knees. Super slim fit. Button fly; belt loops. Cotton. Imported. Model's measurements: Height 6'1"/185cm, waist 32"/81cm, typically wears size M.